British Airways will soon reveal its all-new Club World business class seat, which will take wing in July 2019 on the airline’s factory-fresh Airbus A350-1000 jets, with a fleet of Boeing 787-10 Dreamliners to follow in 2020. 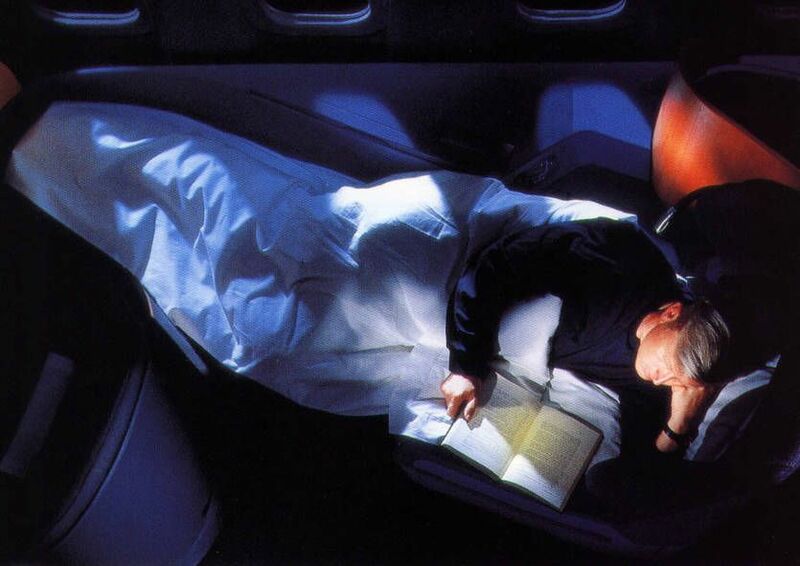 It’s worth noting, then, that almost 20 years ago, the launch of another Club World seat – the ‘grandfather’ of this forthcoming product, if you will – sparked a revolution as the world’s first lie-flat business class bed. 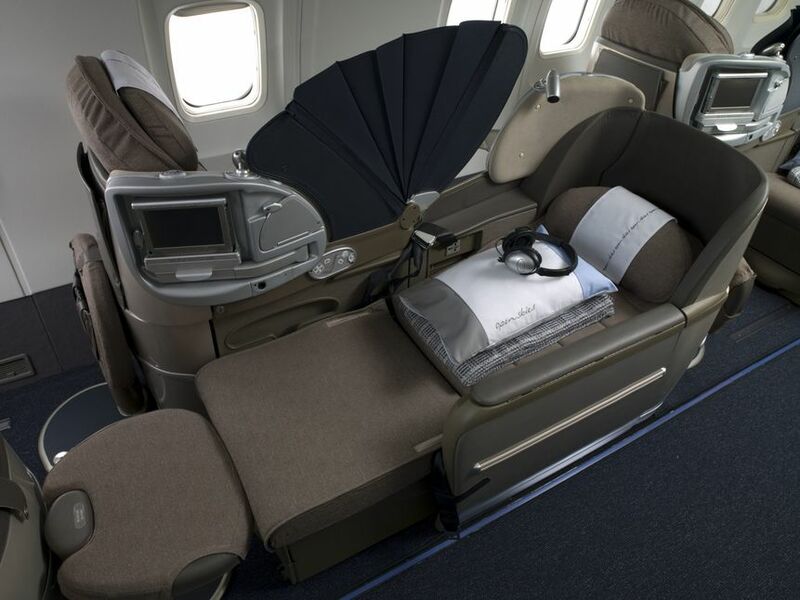 Australian Business Traveller shares the story behind the creation of British Airways’ flat-bed Club World business class seat. 1998. UK Prime Minister Tony Blair marks his first year of office, while Pierce Brosnan renews his license to kill in Tomorrow Never Dies. Apple’s audacious iMac is taking the tech world by storm, although it will be another year until the suited-and-booted brigade clamp eager eyes on the very first BlackBerry and transform it into an executive icon. And business class – itself a mode of travel just two decades young – is about to take its biggest leap ever, swapping reclining chairs for fully-flat beds. 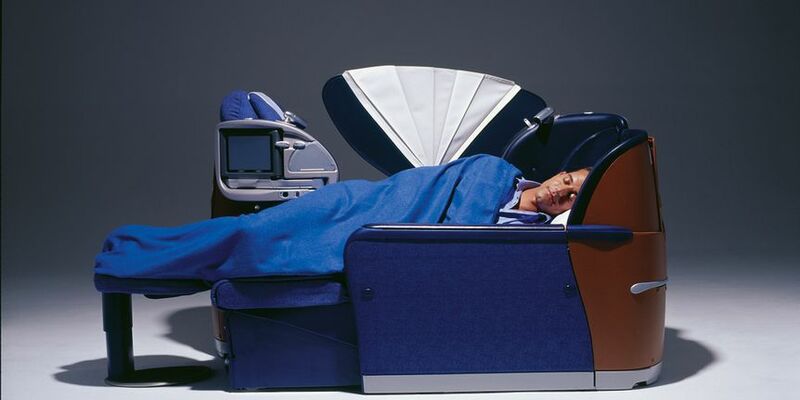 In the crisp autumn of 1998, British Airways handed London-based design firm Tangerine a brief as broad as it was mind-boggling – to uncover “the Holy Grail of airline travel” and, in the process, totally reinvent business class. 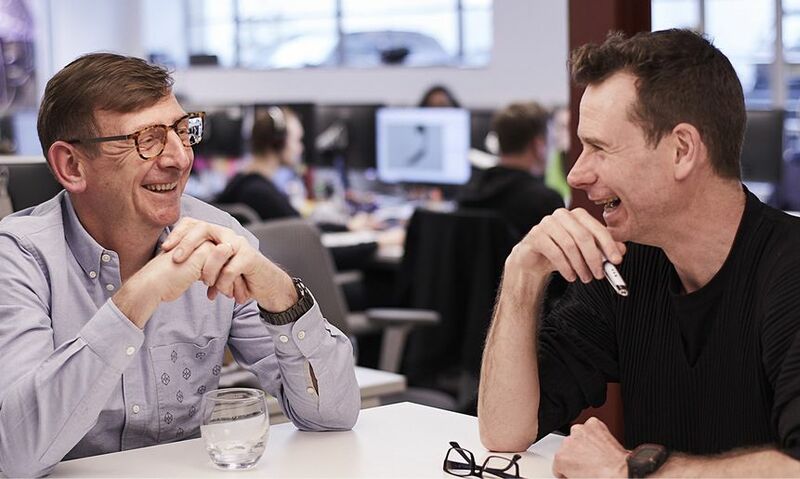 “BA quite simply asked us to astound them,” reflects Matt Round, Chief Creative Officer, who had joined Tangerine only two years prior. 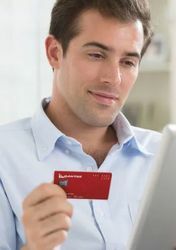 “Rather than (giving us) a stack of documents and specifications, they wanted to be really astounded and create a different experience for their passengers." At the time, business class had been steadily evolving from the plush armchairs of BA’s Super Club class (above) to the Club World Cradle (below) – a deep and superbly comfortable recliner which one traveller of the day recalls as “feeling like you were nestled in a giant palm”. 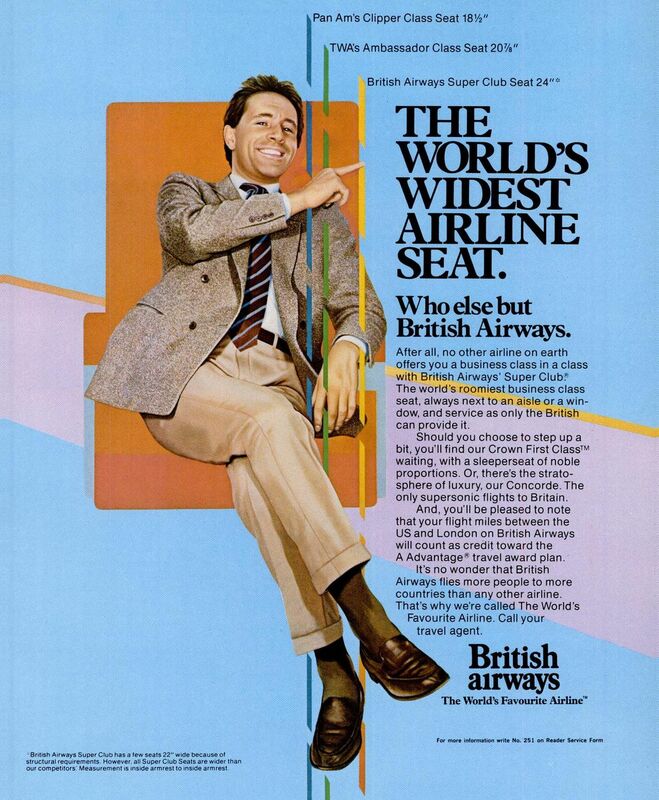 And back in the late 1980s, armchairs were sufficient for the business traveller, as this 1987 advertisement for Club World set out to prove. But a decade on, even the steepest of recliners wasn’t enough, as Round and his colleagues discovered when they boarded a British Airways Boeing 747 jumbo jet from Heathrow to New York. “We were looking at the way people were behaving in their seats, what they were doing, their routines,” Round tells Australian Business Traveller. However, the notion of fitting lie-flat seats into BA’s business class cabin didn’t arrive as a thunderclap. Then, as now, the inescapable gravity of economics served as counterweight to lofty ideas. 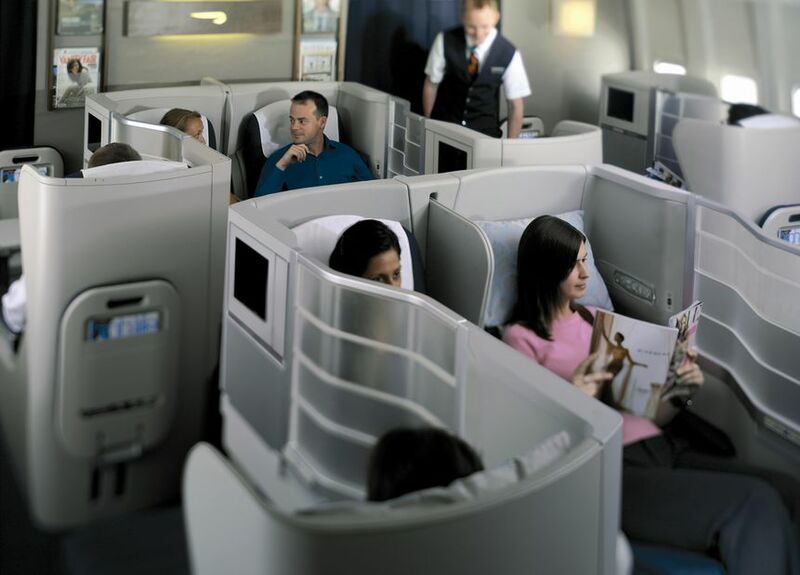 British Airways’ Club World Cradles were arranged seven seats to a row – two seats between window and aisle, three more in the middle, then two more again. And with a limited number of rows in the business class cabin, this shaped an immutable equation: passengers x fare = revenue. No airline would readily reduce its revenue or increase its fares, so Tangerine had to do more than simply astound British Airways. It had to change the maths. One observation which struck the Tangerine team was that while passengers spent most of their journey in the seat, the aircraft aisles at that time were significantly wider than today. 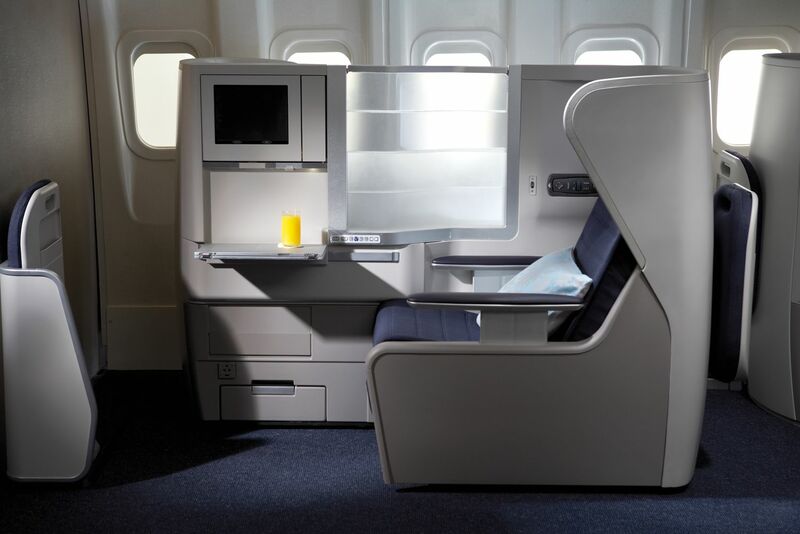 This was the first of two pivotal decisions in the evolution of BA’s new Club World seat: changing the distribution of floor space onboard the aircraft, to give overly-generous and under-used aisle space back to passengers. But space alone wasn’t the answer. 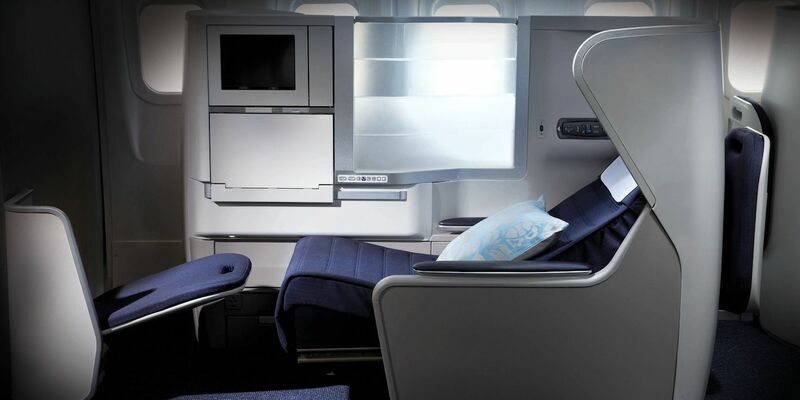 British Airways had to see a solid business case for lie-flat business class, and that meant not cutting back on passenger capacity in the already seven-across Club World cabin. Bums on seats trumped bums on beds. Project Midnight or even Project Dawn may have been more apt. BA’s schedule allowed just 18 months from fanciful brief to first flight, and the clock was ticking as Tangerine workshopped the new shape of Club World. The breakthrough came about during those exercises in seat geometry. Mulling the tapered shape of the human body – wider at the shoulders, narrower at the feet – Round hit upon a Tetris-like solution. Seating passengers side by side but facing different directions, one forwards and the other backwards, would interpolate the wider and narrower parts of the body. This unique and quickly-patented approach was dubbed a yin-yang layout. “No one had ever considered arranging cabin space in this way,” Round says. More importantly, the maths worked. 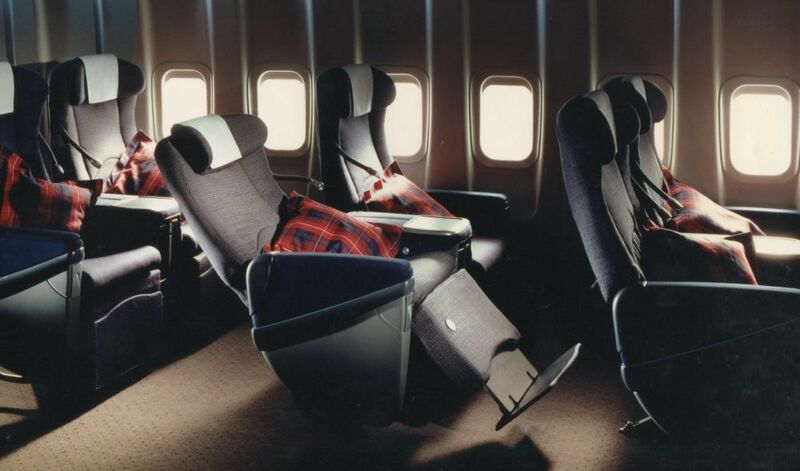 Round’s groundbreaking yin-yang configuration, combined with stealing space from the aisles, gave British Airways a fully-flat six-foot bed in business class with eight seats per row – an unexpected bonus of one more seat to sell, compared to the seven-across cradle recliners. As innovative as the yin-yang design was, some passengers were less enthused that they could end up ‘flying backwards’. “We built an entire cabin mock-up out of blue foam at BA’s Cabin Development Centre at Heathrow, and brought (BA Executive Club) Gold card holders through to get their reactions about the overall concept,” Round says. “It was, on the whole, very positive, but a small number of people said, 'If you put seats on planes backwards, I will never ever fly with you again!’"
Tangerine decided to offer a compelling pair of inducements for passengers choosing the backwards-facing seats: the lure of a window plus added privacy during those long flights. “We placed all the rearward-facing seats next to the window to offset the negatives of flying backwards,” Round elaborates. The recollections of London-based architect and frequent BA traveller Gregor Milne, on his first flight in the new Club World seat to Chicago in the early 2000s, bears that out. Another Tangerine touch was that the seats were mounted low to the floor and slightly ‘pre-reclined’. “Beyond just lying down flat, (Project Dusk) was also about privacy,” Round adds. Travellers were no longer likely to be sitting right next to a stranger, even if the yin-yang grid meant they sometimes had to look them in the face. 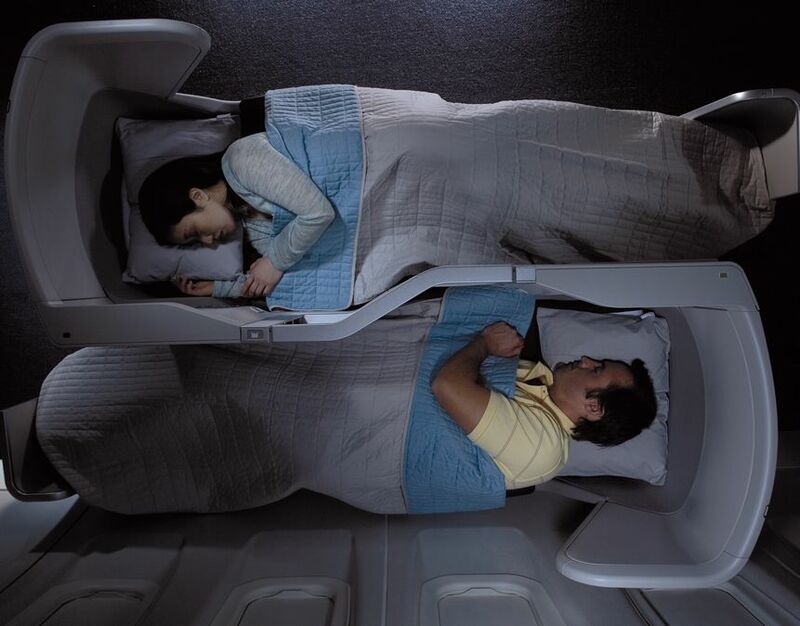 For any lie-flat bed, let alone the first of its kind in business class, sleep would always be the raison d’être. Scores of volunteers spent the night in mock-ups of the seat so that Tangerine could assess how much ‘sleeping space’ passengers would have. 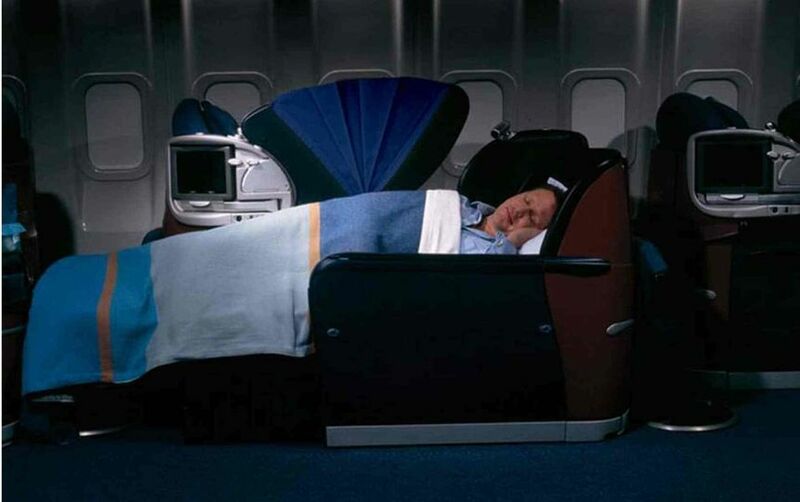 Low-light video cameras and wrist-strap monitors recorded how people moved as they slept, while a small number of portable seat mock-ups were shipped to the bedrooms of selected passengers and “placed on top of people's beds so that we had a kind of comparative benchmark” of their bed versus the Club World bed, Round says. 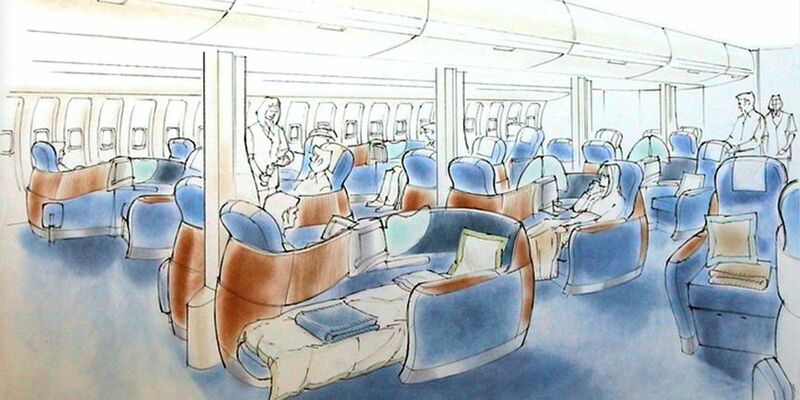 British Airways unleashed its fully-flat Club World seats on the prestigious trans-Atlantic route between London and New York in March 2000, with Boeing 747 jumbo jets each carrying 96 business class passengers. David Jagoe, a senior audit manager in London’s banking sector, recalls first flying in the new Club World seat in 2001 on a trip from Vancouver. “It was such a massive jump from the cradle seats, a groundbreaking experience,” Jagoe tells Australian Business Traveller. 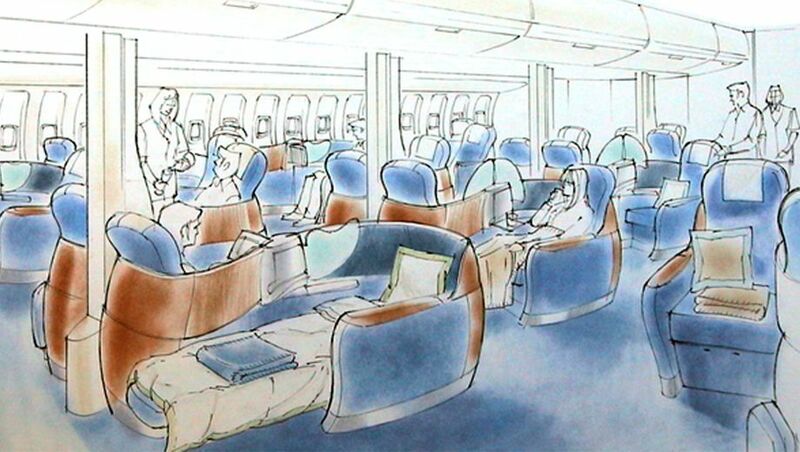 British Airways’ passenger-packing layout would many years later be considered a major shortcoming as other airlines rolled out roomier six-across and then four-across seating with direct aisle access. But Tangerine says the sheer number of business class passengers on each aircraft delivered BA a return on its investment in the new Club World seat “within 12 months” and later trumpeted the new business class as the airline’s “profit engine”. Four years later, Tangerine was called upon to give the Club World seat a comprehensive ‘Version 2.0’ make-over. British Airways was determined to stay ahead in an increasingly-competitive game, against heavyweights such as Singapore Airlines and hungry challengers like Virgin Atlantic. The next generation Club World flatbed seat, revealed to the media at London’s Canary Wharf in November 2006, retained the core flat-bed concept, footstool and yin-yang pattern – but with everything else redesigned, re-engineered and wrapped in a then-contemporary flat silver shell. It’s the same international business class seat which British Airways still flies today. The bed gained an extra 25% in width and also became longer – stretching to the same 6’6” (2m) as the beds in first class – with armrests that lowered as the seat reclined, to unlock even more lateral space when sleeping. Tangerine revamped the seat recline, base and footstool to introduce a relaxing ‘lazy Z’ position with support for the knees and back. An immediate casualty was the concertina fan which served as a privacy screen between adjacent seats. “That privacy screen was obviously one of the targets” in the 2006 Club World seat, Round says. A translucent frosted panel replaced the fan, with a sensor linked to the same circuitry as the oxygen masks. At the time of writing British Airways’ newest Club World business class seat is waiting in the wings, just behind the curtains and ready for its moment in the spotlight. 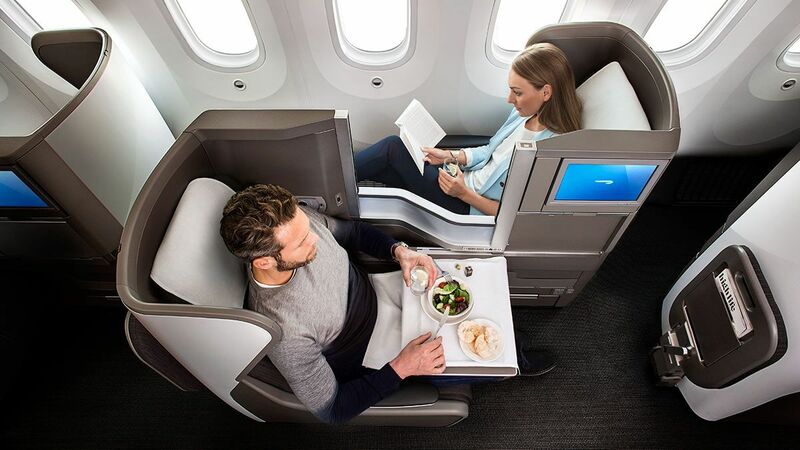 Travellers can look forward to an all-new seat with direct aisle access, more at-seat storage, an integrated video screen for gate-to-gate movies, plus increased personal space and privacy. Yet it’s arguable if this will be as revolutionary as the seat which took the fully lie-flat bed from the rarefied realm of first class and made it available to the business class traveller.